Do you need some bookkeeping tips? Check out these 8 tips and become a pro! Start on time. If you regularly keep your accounts up-to-date, you never have to do a lot at once. It is better do a bit of work every month rather than doing a lot every six months. Scheduel a moment in your agenda (for example, once every 2 weeks, or even better every week) to do your accounting. With our Excel file you do this very easily. Do not forget to record your expense receipts. The more costs you can deduct, the less tax you wil lhave to pay eventually. This applies to both your sales tax and income tax returns. In order to deducts expenses you will have to provide proof, so keep your receipts close. Don't lose them. In the bookkeeping template you can quickly see all outstanding invoices. Make sure you pay your invoices on time. The payment term is shown on the invoice template in your Excel-sheet. The standard payment term is 30 days. You can change that in the Settings tab. Check in your bookkeeping template which customers has not yet paid you. Are they late? Give them a call. Make sure you are still on their radar. Has an invoice been paid? Make sure you change the status from 'Oustanding' to 'Paid by bank/cash' in your bookkeeping template. Don't forget to do your sales tax return every month or quarter. You will find the numbers in the Tax tab of your bookkeeping template. Make sure to check them. Did you buy a new sweater? That's awesome. However, do not record this purchase as a business expense. Make sure to record them as 'owners draw'. Is the year over? 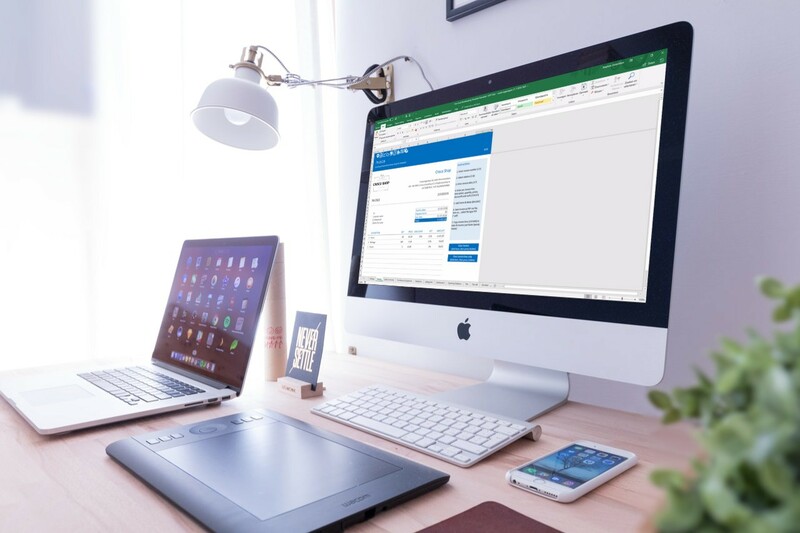 Save your Excel file again using a different file name (for example: Accounting-2019-001.xlsx). Save it in a separate folder (which you also call Accounting 2019 for example). Then you download the latest version of the bookkeeping template (remember, it is 100% free!). Download Your Free Bookkeeping Template Now! Simple bookkeeping in Excel. We provide this Excel bookkeeping template for free. You agree with our disclaimer when you download the file. You are not obliged to buy anything. Please make sure you use an email address that does not start with info@. A 100% free, simple-to-use and easy-to-understand bookkeeping template for small business owners.